Hello guys! 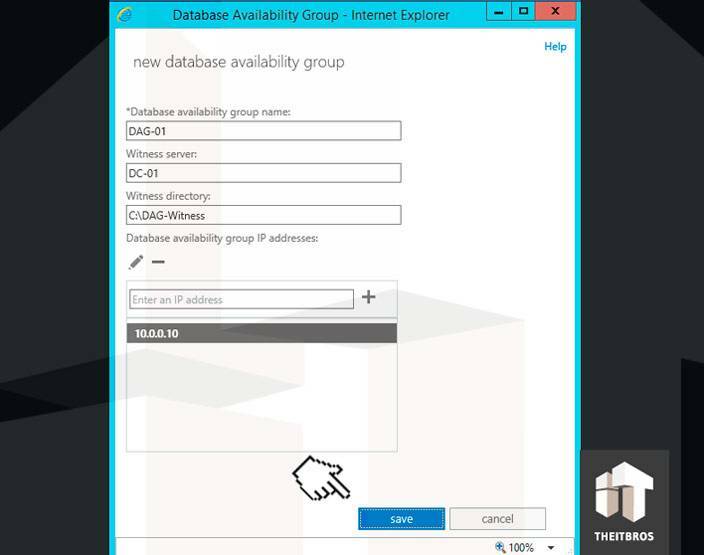 In this article we are going to show you how to create and configure database availability group (DAG). DAG allows you to provide fault tolerance of mailbox databases. 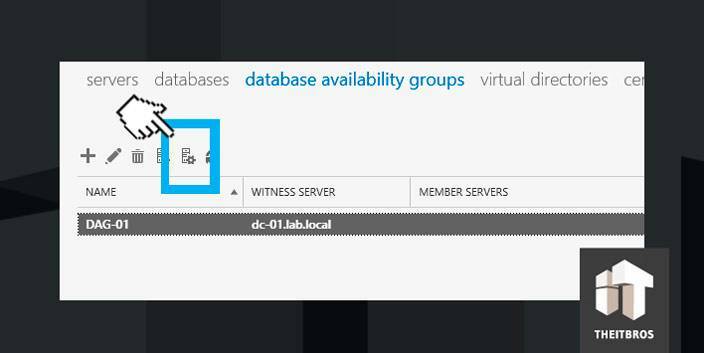 The essence of its work is creating database copies, so if one of the servers fails, the database is automatically activating on the other. 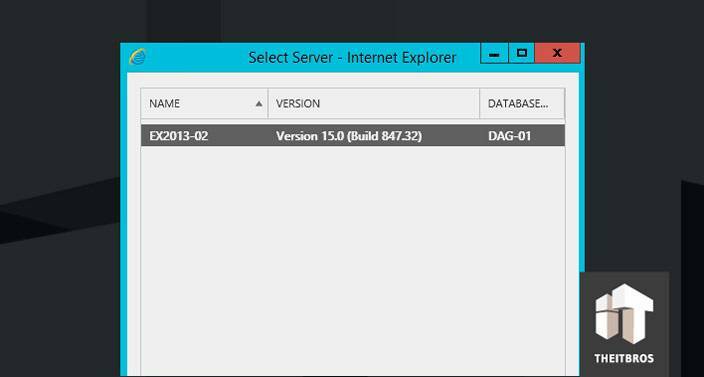 DAG was released in Exchange 2010, but in Exchange 2013 it received some improvements. Let’s have a look at the scheme. It is very simple. 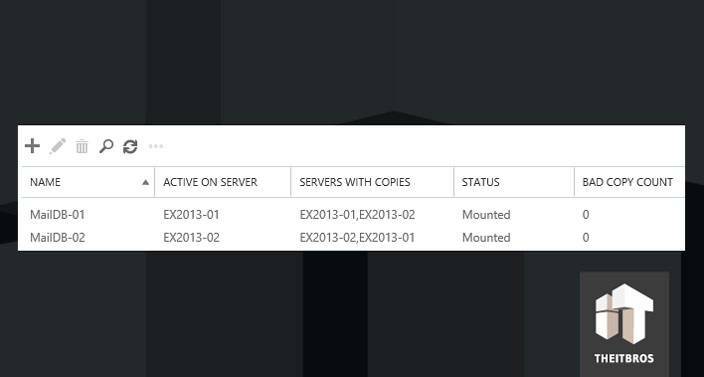 We have a Domain Controller and two Exchange 2013 servers. 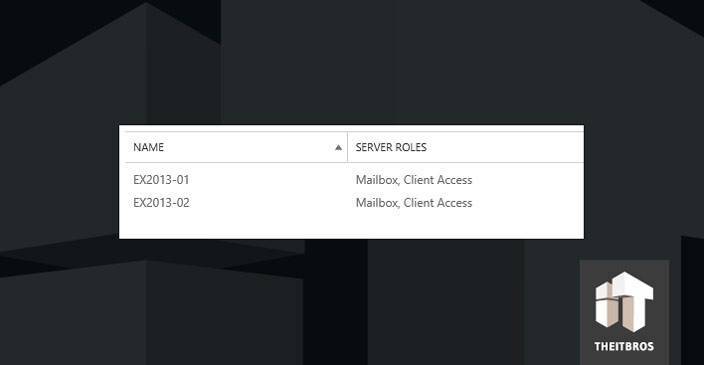 Both servers already have installed Exchange roles – Mailbox and Client Access. 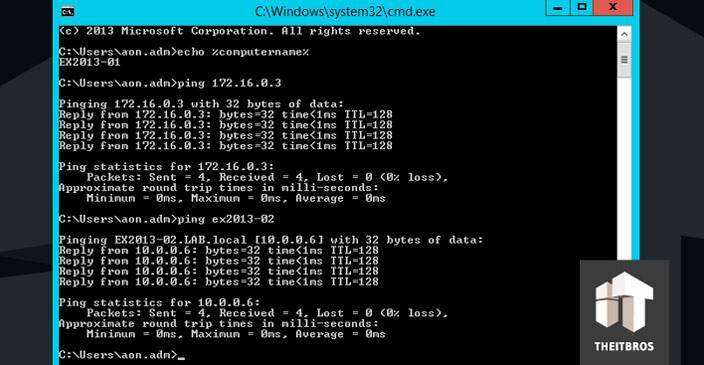 Also, you should note that we have a separate network for replication – 182.16.0.0/24. DAG is working on Microsoft Failover Cluster technology, but it needs a witness. 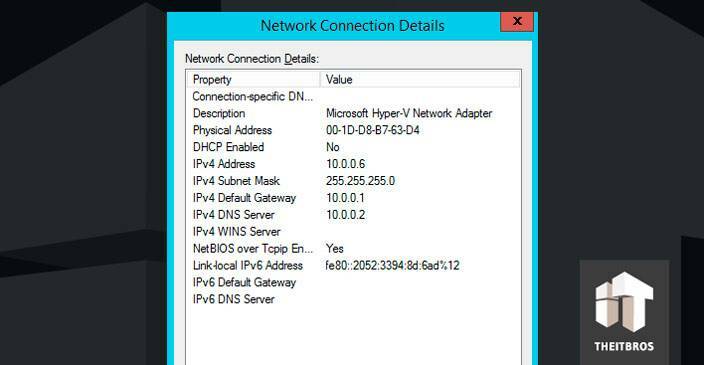 In our case it is a Domain Controller, but you can use any server. 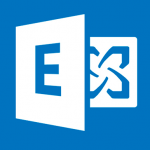 On the witness server we need to add the Exchange Trusted Subsystem group to Local Administrators group (If you are using another Exchange server as a witness, you don’t need it). 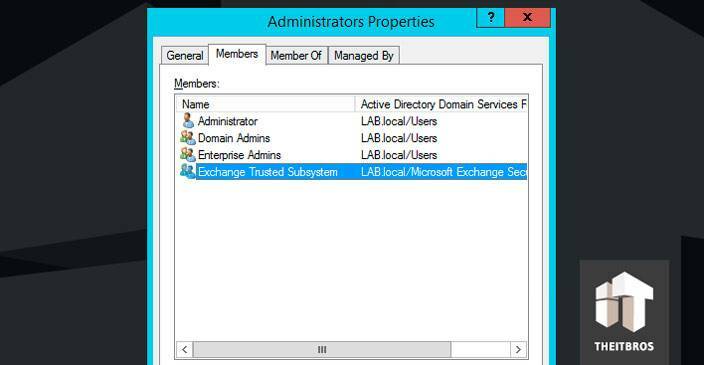 Now we need to add local group Administrator in Active Directory on the Domain Controller. 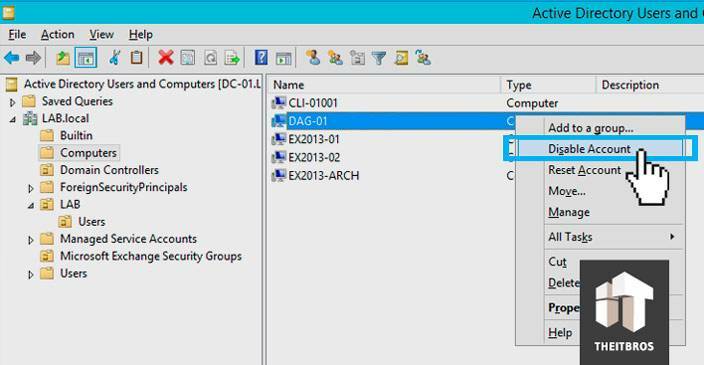 After that go to Active Directory Users and Computers and create an object in Computers with the name of our future DAG. Once it is done, disable it. Then open the properties of this object. 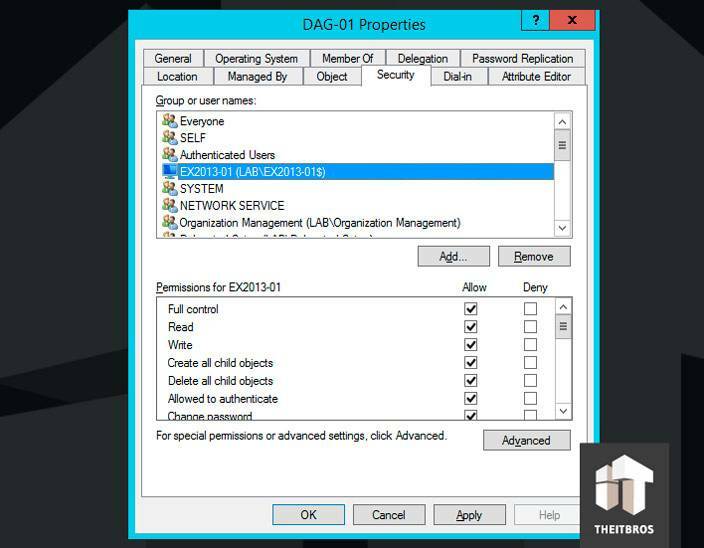 Go to the Security tab and give full access permissions to the first DAG member. 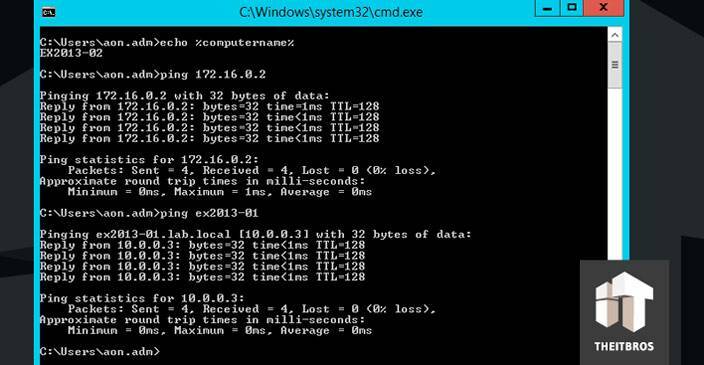 Now we need to configure a network. 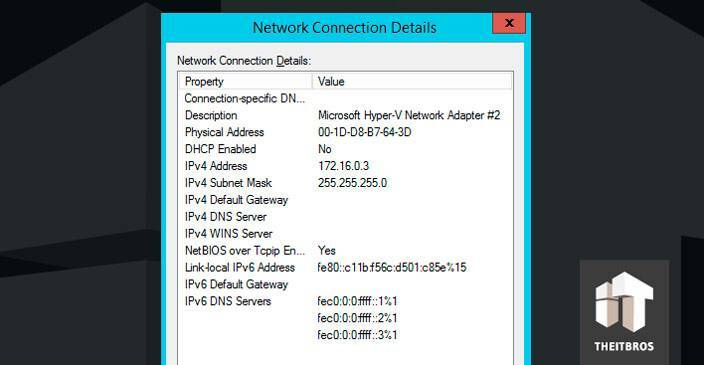 Each Exchange server has 2 network interface controllers. The first one is used to connect to the network. Here is the usual configuration, so we don’t need to change anything. 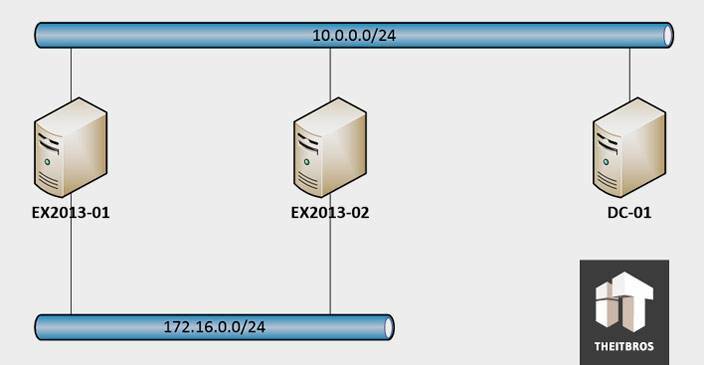 The second one is connecting to an isolated network. We will use it for replication, but before that let’s change some options. We don’t need to specify gateway and DNS. The thing we need to do is just remove the tick from Register this connection’s address in DNS. 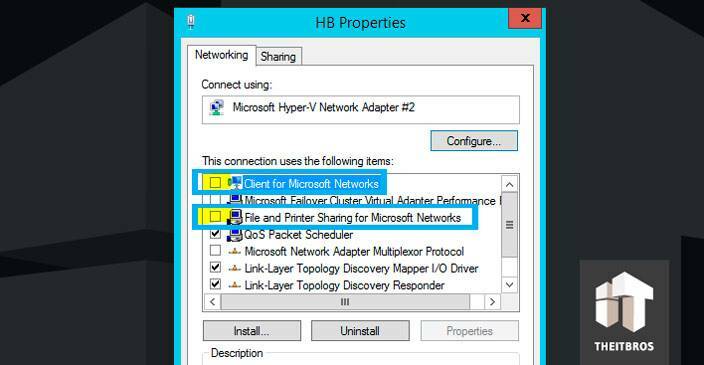 Also, remove the ticks from Client for Microsoft Networks and File and Printer Sharing for Microsoft Networks. 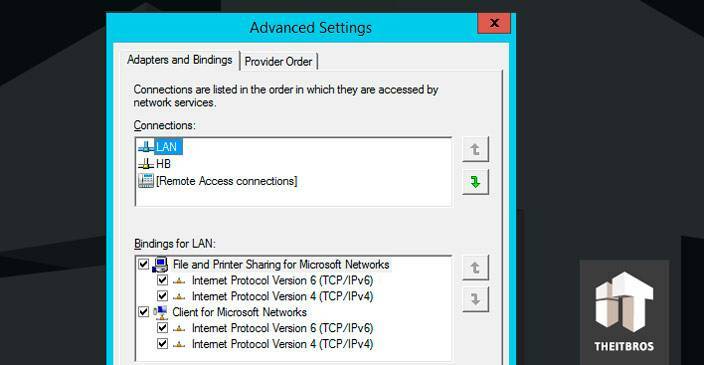 Install LAN on the first place in Connections. Now let’s check it through Command Prompt and make sure everything is OK.
Now we need to create a directory on the witness server. This directory will be specified when we will create a DAG. 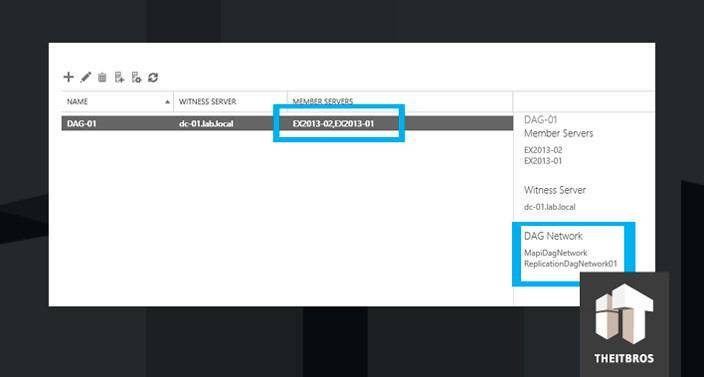 In our case it’s DAG-Witness folder in the root of C: drive on the Domain Controller. Once it is done, we can create a DAG. 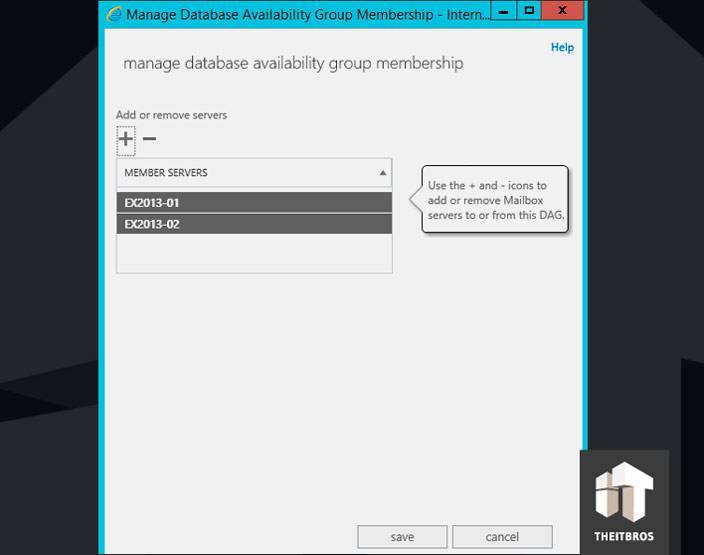 Open up Exchange Management Console (RCP) and go to Servers -> Database Availability Groups and click on “+”. Fill in all the fields and click on Save. After that you need to add a server to the group. Once the wizard successfully finished its work, we can see that our two servers are actually team members. There are also 2 networks, one of which is for replication. 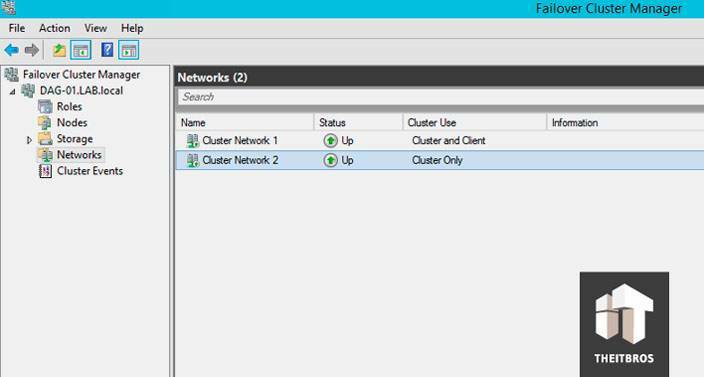 It also can be seen if you open Failover Cluster Manager and go to the Network and Nodes section. 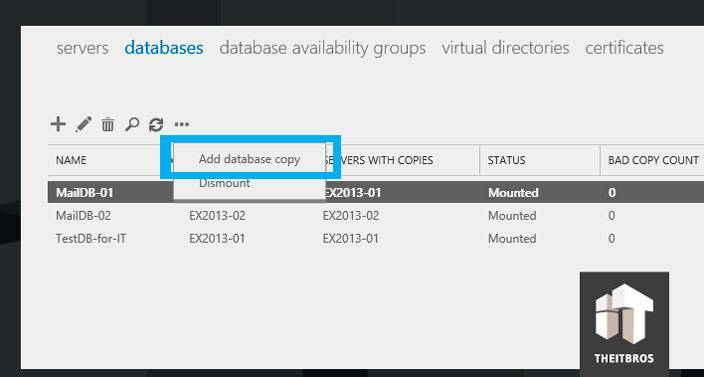 Now you can add the database copy. 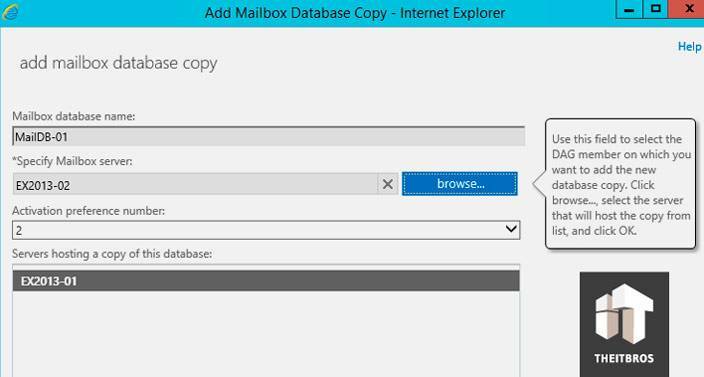 Go to Servers ->Database, click on ellipsis button and select Add database copy. 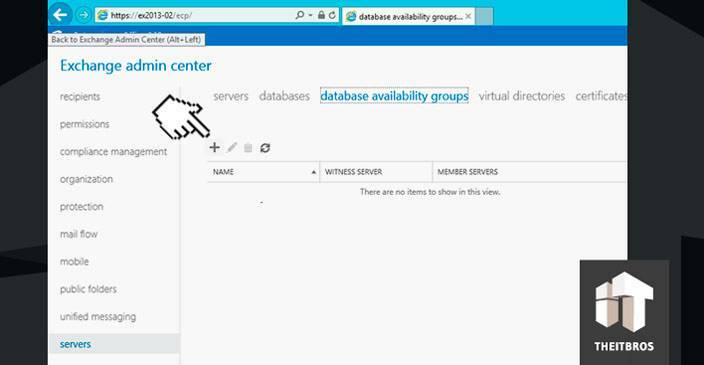 Select which server you want to use for replication. 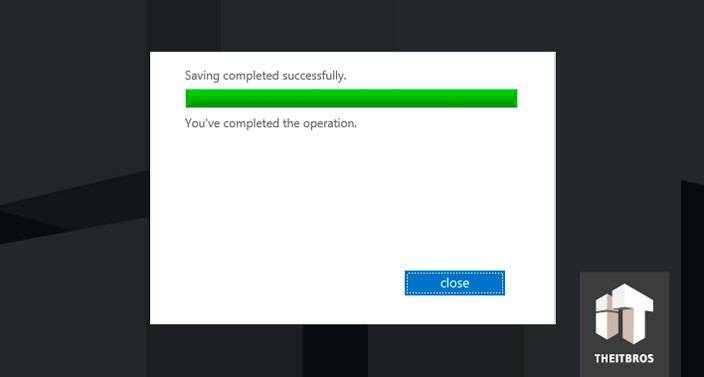 Click Save and wait for the database copy creating. Do the same things with the other databases. As a result we will see a list of databases. Also, it is a possibility to make a copy of the database with a delay (1 to 14 days). 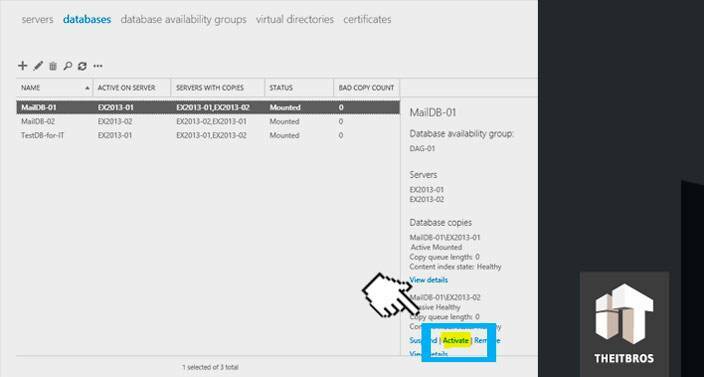 If necessary, you can activate the database on another server in manual mode. That’s all. If you have any questions, feel free to ask them in the comments section below.